microbial communities in the environment. We complement our environmental studies with laboratory studies of model microbial consortia for deciphering chemical interactions among microbes. 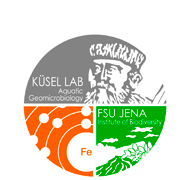 The new website of the Institute of Biodiversity at the Friedrich Schiller University Jena is online!